With political goings on destabilising economies around the world and currencies rising and falling because of that, is Bitcoin the way forward in a global market? This software based form of online payment is growing in popularity with more and more businesses accepting it as a form of payment. Companies like Virgin Galactic, WordPress and Overstock.com are already accepting Bitcoins and there is talk of eBay and PayPal supporting Bitcoin transactions too which all sounds very promising for this new online currency. However, some people still have reservations about its usefulness. 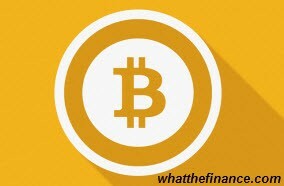 One of the main reasons people are attracted to accepting Bitcoin payments is simply that the transaction fees are lower than for processing credit card payments. There is also the benefit that the value is the same all over the world so there are no currency conversion complications involved and no need to go through the banks. In addition, the fact that Bitcoin is not affected by the valuation fluctuations of national currencies makes it a safer option in some ways. Although, as stated above, Bitcoin is not affected by currency fluctuations, its value is affected by the level of demand. Obviously, the higher the demand for Bitcoins, the more they are worth so a sudden influx of Bitcoins into the market could significantly devalue them overnight. Researchers at Stanford University also point out that, if a person is solely using Bitcoins as a form of payment, they are going to find things difficult as it is still a limited number of businesses that are accepting them. There are countries in the world that do not even recognise Bitcoins as a currency. People are also worried about possible technical glitches that could result in Bitcoins being lost through computers crashing or contracting viruses. Security is also an issue in the way that it is very difficult to recall Bitcoin payments if products/services are not delivered as promised. These concerns are, perhaps, making people unwilling to invest in Bitcoins at this time. Some people may have reservations about using Bitcoins as a major form of payment at the moment but it is entirely possible that this situation could change in the future. As an increasing number of businesses accept Bitcoin payments and the accessibility and reliability of Bitcoins improve for the average consumer it is likely that its use will become more widespread. 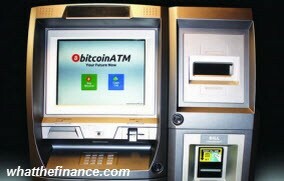 There is already talk about Bitcoin ATMs that will allow users to take out local currency all over the world from their Bitcoin accounts without needing a card or worrying about bank charges or exchange rates. With developments of these kinds it seems likely that Bitcoins usage will increase in the future. Entry was postedon Sunday, March 30th, 2014 at 8:40 pm	under Global Economics Category.You can skip to the end and leave a response. Pinging is currently not allowed.